Looking for a Job? Know What Information You Need Before You Apply! Do You know what information you need to have ready before applying for a job? It is most likely that you already know the basics you will need ~ education, work history, and references quickly come to mind. But did you know that in many cases, that is not enough? Most job applications or personal information forms ask for much more. 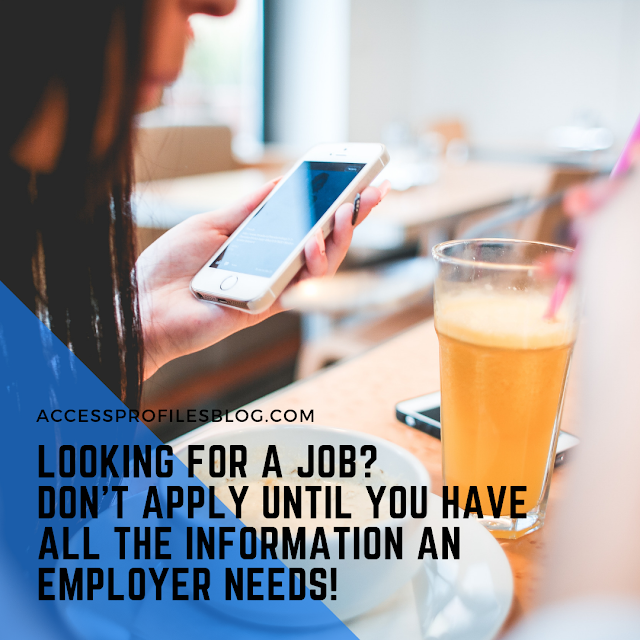 And while searching and applying for jobs is always a stress-filled proposition, there is nothing worse than sitting down to start filling out the application and only then finding out that you don’t have everything you need! 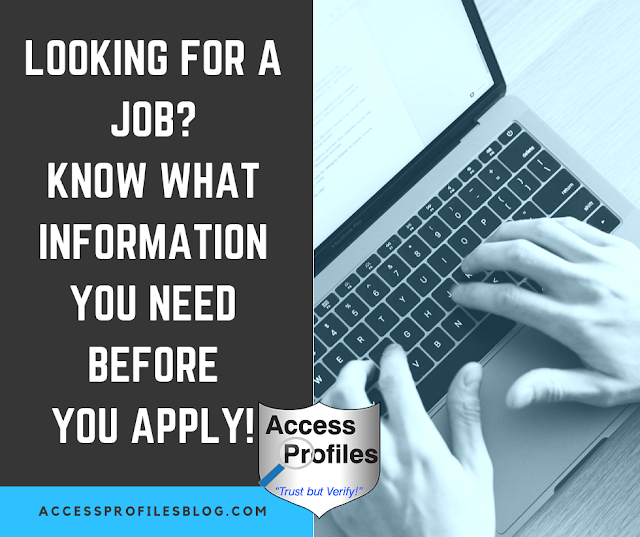 There is actually a whole list of information you should have on-hand long before you even think of applying for any new job. Whether you are applying in-person or online, having all the information you need at your fingertips makes sense. Not only will it reduce your stress, it will make the entire process, including the potential employment background check, go as smoothly as possible. That is why it pays for you to be prepared! And that preparation starts by knowing exactly What you need and Why! You should know the complete address of anywhere you have lived (rented or owned) in the last 7 to 10 years. Include things like your parent’s home and college dorms and/or rentals if applicable, plus anywhere else you have lived within that time frame. Make sure you are as precise as possible. Be ready to supply the complete address, including zip code. It also helps to lists the dates you have lived there and the type of residence (parents, rental, own, etc.). This information is important for the background check stage of your hiring process. It helps the investigator to know exactly what courts to search for potential criminal and/or civil records. When listing your past employments, be sure to include the entire name of the company where you worked, your job title, and the dates of your employment. It is also vital to be ready to supply a contact name (even if that is simply the HR department), their number, and a working email, if possible, where they can be reached. Make sure the information you provide is current and accurate. Employment screeners will contact these sources to verify the job information you have listed on your application and/or your resume. Making it easy for them by supplying as much information as possible will help expedite this process and put you in a good light. Most employers are interested in knowing the highest education level you have completed. This may be anything from your high school diploma, a bachelor’s, master’s, or doctorate degree, or even a trade or other type of school. However, it is best if you have the following information on each school you attended in case it is required: the exact name and location of the school, the date(s) you attended, the highest level earned (diploma, degree, certificate), and a contact name, phone number, and/or email where this information can be confirmed. Once again, the information you supply will be used during the background check and good, working contact information helps complete this verification as quickly as possible. When providing references, be sure to list their name, company where they work (if applicable), their contact phone number and email. You should also include how you know them (whether it is a professional or personal connection) and the number of years you have known them. Before listing anyone, it is best you contact them beforehand and make sure they are willing to act as a reference. If they respond with any hesitation, it makes sense to move on to someone else. You can find out more about how to pick the best references in “Your References ~ Be Smart, Ask First”! Here is where supplying the best contact information possible is really crucial. Verifying references and employments are the most frequent causes for background check delays. The easier you make it for the investigator, the easier it will to get the information your potential new employer needs. Employers will often make a copy of this, so it is best if you have it on hand. Check to make sure it has not expired and, if it has, obtain a valid one before starting your application. 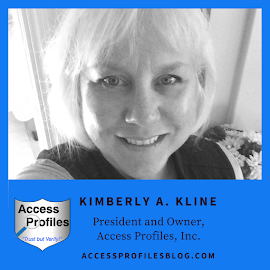 Your License or ID is most often used for identification and address verification purposes. It is also critical if a company car or any kind of company vehicle goes with the job for which you are applying. Often applicants think it is enough to simply know the number and are surprised when asked to produce it by a potential employer. So, before you go, make sure you have your card. If you can’t find it, search online to find out the steps you should take and allot the time needed to get a replacement. The goal in having all this information readily available is to expedite the application process and make it easier to complete the background check. When it comes to your possible employment screening, providing the most complete and accurate information you can will make it much easier to verify your information and lessen the likelihood of delays. 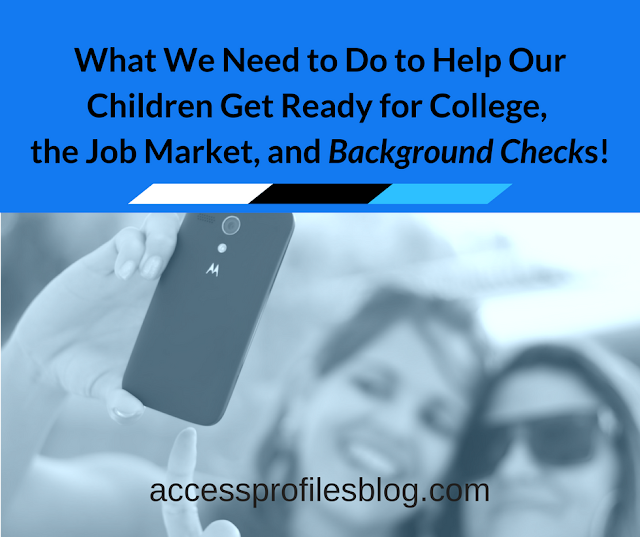 Find out more about making your resume “Background Check Ready” here! And while providing all this information may seem excessive, in reality it is one of the best things you can do. Number one, it shows that you are prepared, which any employer would appreciate. Number two, it helps you be seen in a professional light. And, Number three, it shows that you truly want the job! So, before applying for your next new job, take the time to gather the information you need now. Not only will it lessen the inevitable stress related to any job search, it will enable you to provide exactly what your potential employer wants to know! Ready to apply for an new job? Contact Us first! We can help you get your resume “Background Check Ready” and even do a Social Media search to find out what is “out there” about you! Find out more in our Background Check and Job Search services! Learn more About Us and our Business Mentoring and Security Consulting services too!